Ah, the bane of ", &, ', <, > and passing them all over your services-oriented environment. Nothing new to see. Just keep moving. Happens in most every text boundary at some point, particularly when there's legacy services and for-crap unit testing. At least there's no misidentifying the problem. Snarky: They kept calling endpoints with the entities double encoded. 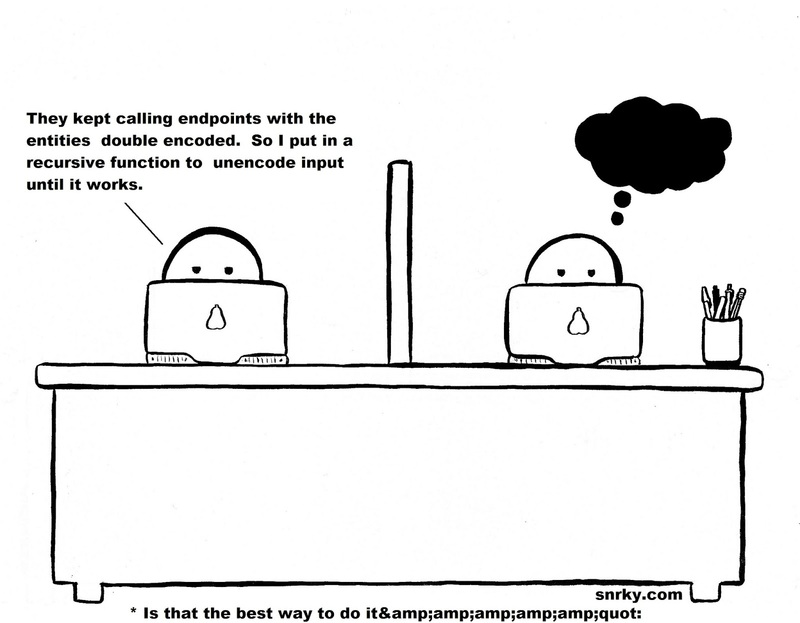 So I put in a recursive function to unencode input until it works.